Shopping for clothes online is convenient. Unfortunately, it also comes with the worry that it won't fit and you will have to waste your money. If you want to buy designer dresses for a special occasion, it will cost you even more than when you just shop for your everyday casual clothes. So, you need to be extra careful when it comes to online shopping. Follow the tips listed below, suggested by My Fashion House, one of Gold Coast’s leading designer formal dress retailers, to make sure that buying evening dresses online will never, ever goes wrong. It is impossible to try on the dresses from an online store without making a purchase first. Before ordering designer dresses online, check the return policy at the store. Some online stores want to have garments returned quickly so that the items are available for other customers. Avoid removing any tags from the formal dress because an online store won’t accept the item as a return when it looks as if you have worn it. If you know that bright yellow is not a good color with your skin tone, then don’t select a formal dress in that color because it looks fantastic on the model in a photograph. 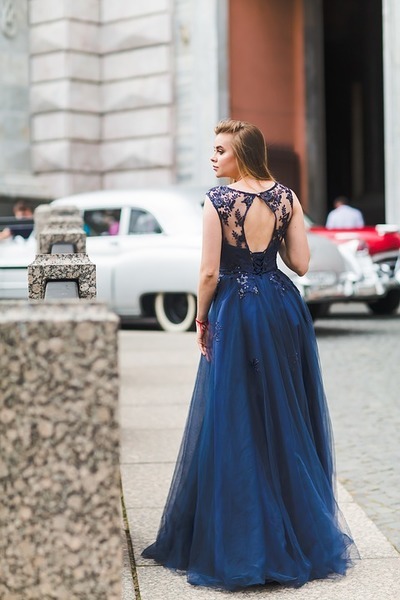 When you are selecting a formal dress for a certain type of event such as an evening wedding, you should understand the types of colors that are appropriate. You shouldn’t select a color that is similar to a bridesmaid’s dress, and you should never wear a white dress to a wedding. It can take days or weeks to receive a formal dress in the mail, so make sure to start shopping in advance. If a formal gown doesn’t fit or when it requires alterations, then you will have plenty of time to return the garment or make it shorter. At certain times of the year, customers are competing for the best designer formal dresses for certain events such as holiday parties, and if you wait until the last minute, then your favorite style is going to be sold out. If you go shopping in a department store, then you will bring at least one friend along to help you. Get a friend’s advice about the formal dress that you are buying for a special occasion. Send the friend a few links to garments so that she can look at the dresses to help determine if the items are appropriate for your body shape and skin tone. A good friend may notice things about a formal dress that you haven’t seen such as a low neckline or unusual embellishment. When you shop for designer dresses online, you can sort the garments by length to find short or full-length gowns. By narrowing your choices, you can find the formal gown that suits your personality and the event. To help with choosing the length of a formal dress, consider the event that you are planning to attend. Take careful measurements of your body at different areas to find a dress that fits correctly. The online store will have a measurement guide to help you with this process. You can find a tape measure at a sewing store to help with collecting the size of your hips, waist, bust and other body areas. Designer formal dresses are often less expensive at an online store, and you can find more styles, colors or sizes to suit your skin tone, hair color or body shape. As already mentioned, online shopping can be a convenient choice, but it is important that you choose a distributor/an online store that offers some great advice and useful tips to buy dresses that will fit properly and look fantastic on you. It is always easy to shop for designer dresses for the special events at an online store that has full-color photographs and detailed descriptions of the product.